Peachcobbler and Country Moonshine. The Luvin Kind. Established in 2016. 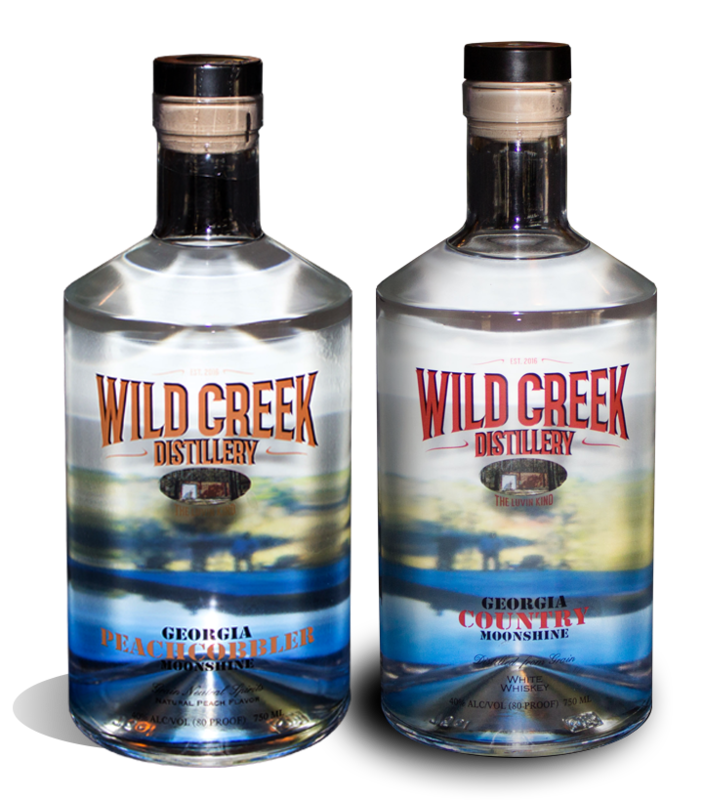 From watching an old friend making Moonshine from inside a teepee on the family farm to over 200 stores in Georgia and growing, Wild Creek Distillery brings you the best flavors and smoothest whiskey on the shelf. Have you tried Wild Creek Moonshine? If so, let us know what you think by submitting a testimonial below. Wild Creek Distillery reminds you to please drink responsibly and learn more at ResponsibleDrinking.org.